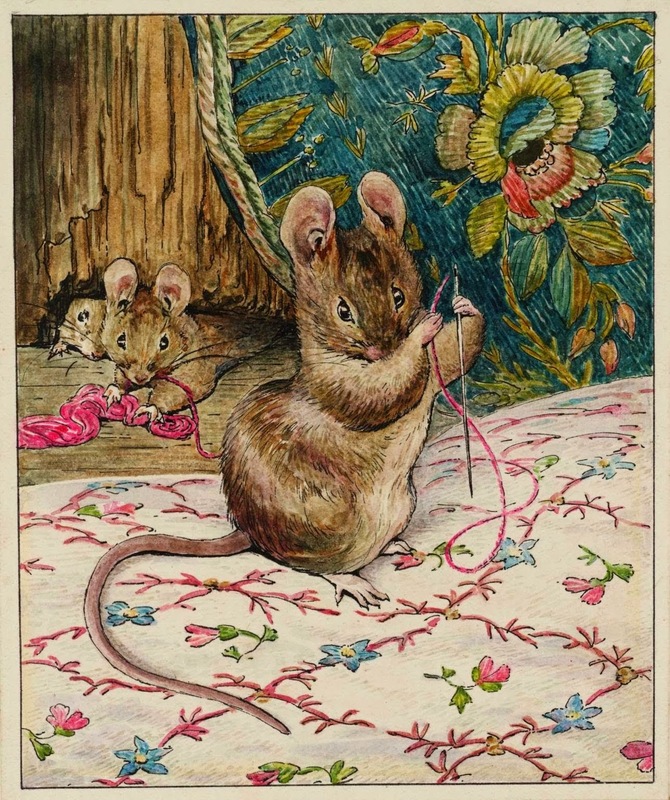 This Beatrix Potter print was our inspiration for the "We're all Ears" March inspiration post on the Earrings Everyday blog. This is a fun new monthly challenge created by Erin Prais-Hintz. Please consider taking part in next month's challenge. The inspiration pic will be posted on the first Friday of the month and on the 3rd Friday of the month, you can link your blog to our Earrings Everyday blog and blog hop to see what everyone made. It's a lot of fun. These are the earrings that I made. I was inspired by the flowers and the pink colors in this sweet pic. 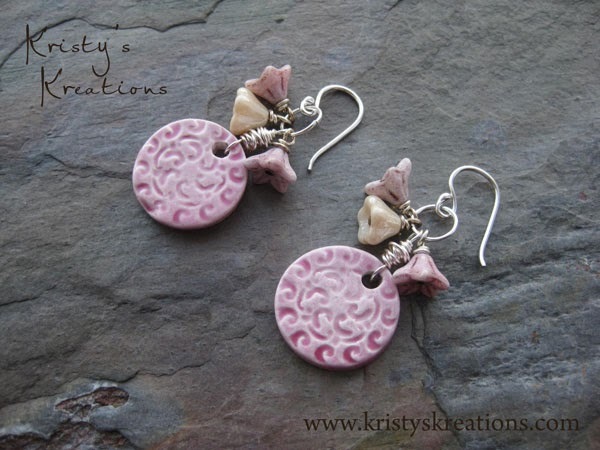 They feature ceramic pink charms by Winchell Clayworks and Czech glass flowers. Dot Winchell is having a sale in her Etsy shop as well! Just use the coupon code "earringseveryday15" for 15% off any purchase of $15 or more. Check out her shop, LOTS of great pieces there! These "Beatrix" earrings are available on my website here.